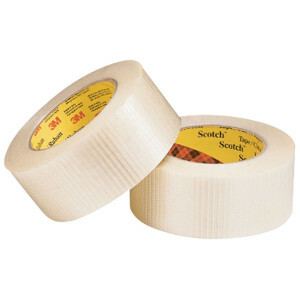 Immensely strong single sided tape. Filament Tape. A heavy duty, strong single sided tape suited for use on heavy cartons or where strong bursting forces are likely. Can also be used as a layer on edges and corners to resist abrasion in transit.